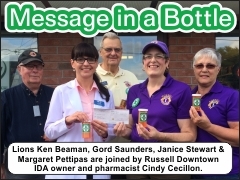 The Russell Lions Club is introducing Lions Message in a Bottle: a program which will help save lives in our community. 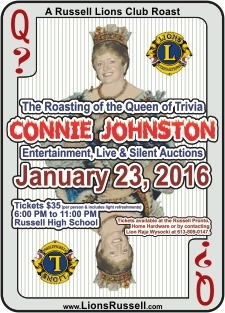 Welcome to the Russell Lions Club website! We are an active group of community-service minded individuals from Russell and surrounding areas who want to serve the Russell community. The Club has a rich history of service since 1947. 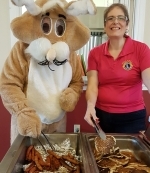 Recently, we have supported local residents with the loan of free medical equipment, youth sports activities, youth Effective Speaking competitions, youth Peace Posters, 2018 Tornado Relief, the Eye Institute, Pancake Breakfast with the Easter Bunny, Russell Santa Claus Parade, Fire Safety Checklists, donation of Scholastic books to local elementary schools, year-end awards at local schools, donation of money for flowers & maintenance of flower boxes in Russell, Lions Christmas Hampers for needy families, Christmas cakes for seniors, helping families in times of crisis etc. 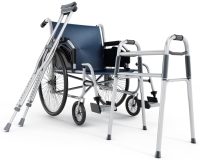 We work with and support other community organizations. 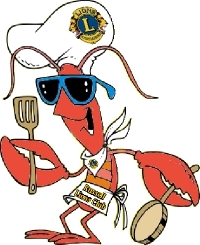 In order to be able to support these and other events, the Russell Lions Club conducts several fundraisers throughout the year: Lions Cash Calendars (Fall), All You Can Eat Lobsterfeast (May) and others. We also gratefully accept donations towards our work in these areas. 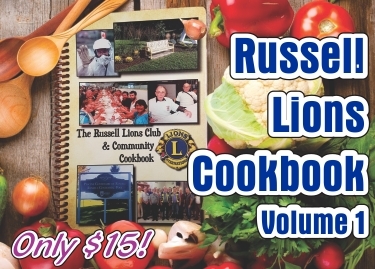 If you are a community-minded individual, who is interested in more information about, or in joining, the Russell Lions Club, please contact any Lion, or secretary@lionsclubrussell.org.